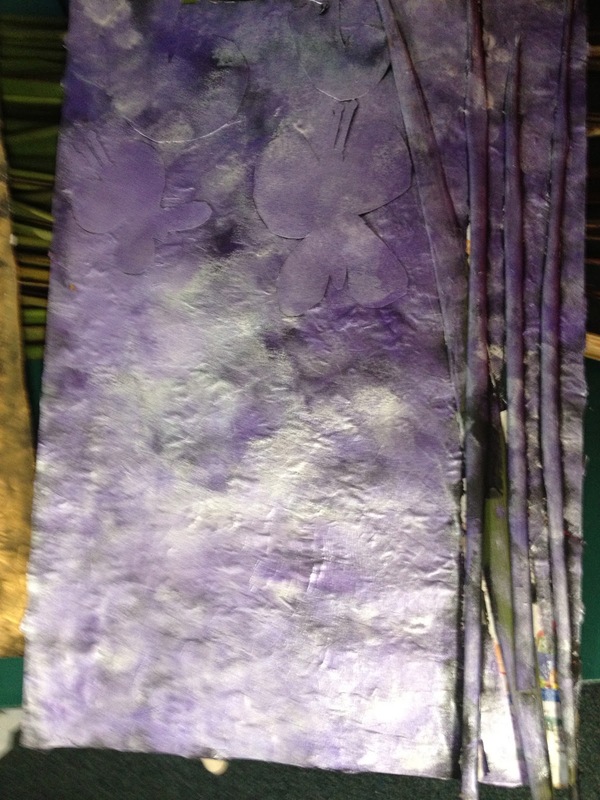 We have been continuing to work on our art exhibition piece. 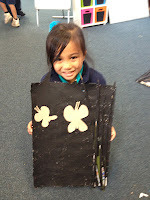 We stuck down flax and our koru patterns before using the rollers to paint over our collaged card. 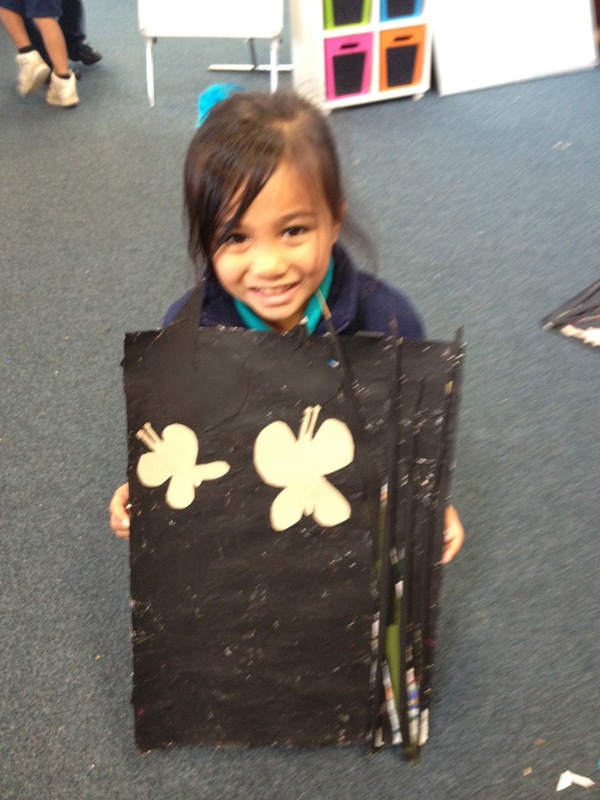 Then we stuck the cardboard stencils we made on top of the black paint. Next we sponge painted over the black paint with metallic colours. Some of us chose to use one or two different colours. 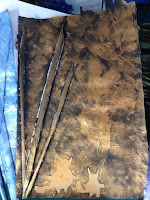 After they have dried we will pull the stencils and flax off to reveal what is underneath. We will frame them with black paper so they are ready to display with all the other classes art work. Check back soon to see the final masterpiece! 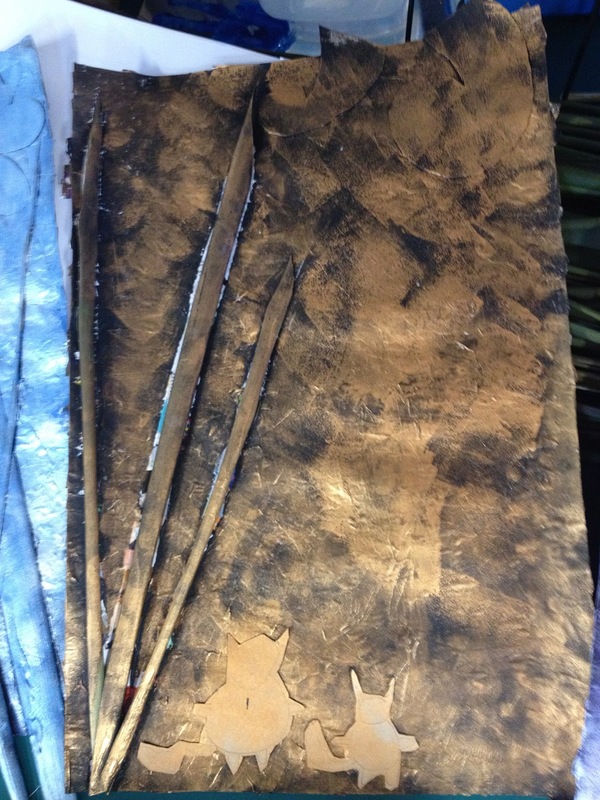 What a great post to show the fantastic work you are doing in preparation for your Art Exhibition. Your artwork looks amazing! 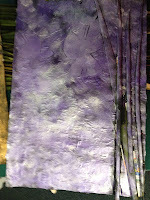 I love the metallic colours and the texture that has been created using sponges. Why did you choose metallic colours? Thank you for answering our question about using metallic colours! We agree with you that those colours stand out and look beautiful. 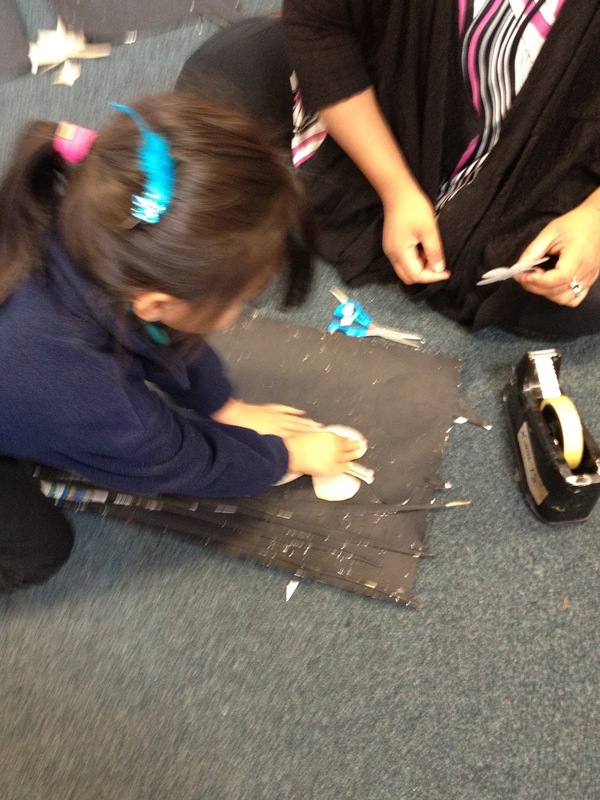 We think it would be very fun to roll the black paint back and forth on our artwork. The painting you had done was perfect. I liked all of your painting becaes it looks cool. I want to do some painting too. We love your panitings that you made. The colurs that you yous are SO cool!!! How did you make them difrent colurs? I like all of you paitings. Your painting looks very fantastic and it looks very fun. We have got plus games. We have to count with our fingers and we have to guess the number.